Lot 163-813 is a standard Coach Estate lot in Phase 3, priced at $129,000. With a northern exposure, this site offers ample evening shade and a beautiful view of the NW fountain and Main Clubhouse and easy access to the SW bath house. 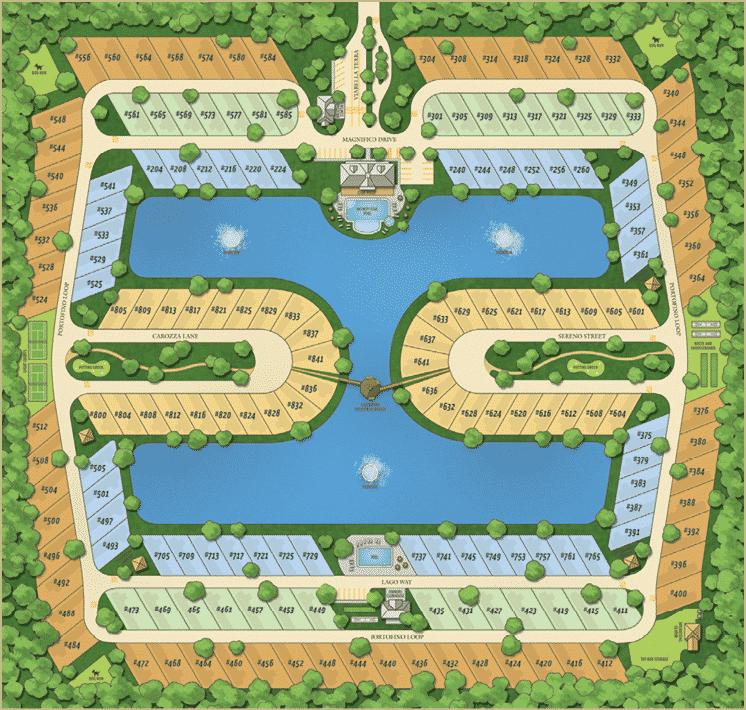 Parcel is a fee-simple deeded property and includes 3,484 sq ft.
Coach estate lots are spread along the eastern and western peninsulas of the Centerpiece Lake. This exclusive location offers sweeping views of Bella Terra. 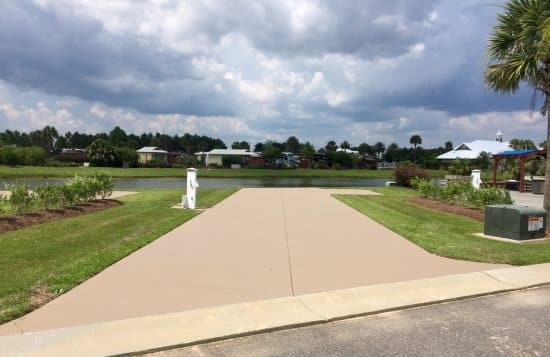 Class A RV lots at Bella Terra of Gulf Shores include a 60 degree angle lots for ease of RV parking, concrete pads and built in patio, and feature electrical, water, sewer, cable television, and internet access.